Now who exactly thought that this was a good idea? 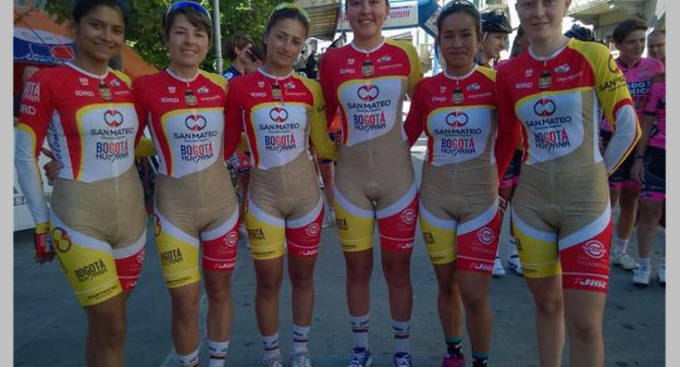 The Internet is going nuts right not because of the Colombian Women&apos;s Cycling Team&apos;s sorta but not really risqué outfits. As you can see in the photo above, a good chunk of their uniforms happen to be beige, which would be fine... if it were in another location. Whoever designed these uniforms had to do so while laughing because we can&apos;t think of a logical reason to throw the beige section in there. The red and yellow looked just fine, no? Get a look at eyebrow-raising uniforms above and then grab another glimpse below just for good measure.